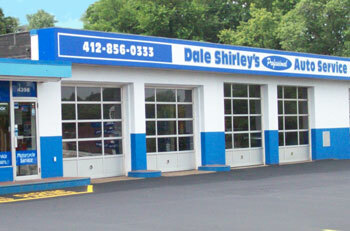 Dale Shirley's Professional Auto Service began serving Monroeville, Pitcairn, and the Pittsburgh area in 1995. For our first nine and a half years we were located in Plum, where we built a significant reputation, even though our facility was a bit older and not up to the standards we ultimately wanted for our customers. In 2005, Dale Shirley had the opportunity to acquire a shop where he could offer the level of service that each and every one of his customers deserves. We started performing motorcycle repairs and were fortunate to be able to purchase the building right next door as our motorcycle repair shop d/b/a Monroeville Motorsports. That's where you'll find us today at 4398 & 4394 Old William Penn Highway in Monroeville. Everyone comes to Dale Shirley's. We service Chevrolets and Audis, Toyotas, Hondas and Fords, Dodges, Nissans, Hyundai, and more. From pickup trucks to Land Rovers, we've worked on them all. Even Mercedes Benz, Jaguar, and BMW owners know their automotive masterpieces are in good hands at Dale Shirley's Professional Auto Service. Dale Shirley's Professional Auto has been chosen as a preferred installer for most aftermarket warranty companies. 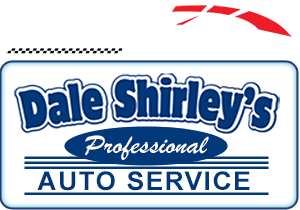 These warranty companies know that Dale Shirley's provides professional service at reasonable prices and that no job is too difficult for our trained staff. We also perform repairs for extended warranties too. We've assembled a highly skilled, expertly trained, and experienced staff for one reason: to provide our community with reliable auto and light truck service and repairs. Everyone at Dale Shirley's will take the time to listen to you, understand your problem, your goals, and your budget. We've invested in some of the best diagnostic equipment available in the industry today. This includes three engine diagnostic scan tools and a fluid flush machine for every type of fluid in your vehicle. We have a state of the art alignment machine and tire and wheel balancer. We also use premier up-to-date computerized software programs that will track your car and truck maintenance intervals as well as all services we perform for you. This helps us to keep you informed of your vehicles service intervals so you can make the decisions that are right for you and your vehicle.